Like it or not, those living in the Mediteranean region enjoy a longer life that we Northern Europeans. This could be for a number of reasons; increased exposure to the Sun, for example but many credit the mediteranean diet with the this much sought-after longevity. This is where Ateronon comes in. It has been said that the Medeteranean diet can now be found in capsule form, harnessing the power of a compound called Lycopene, found in the skin of tomatoes and other red fruits. Ateronon is a highly bioavailable, daily lycopene-based food supplement, which helps to support cardiovascular health and healthy cholesterol levels by inhibiting oxidative stress. In clinical studies, Ateronon has been shown to inhibit the oxidation of LDL cholesterol (‘bad’ cholesterol) by up to 90% after 8 weeks of daily use. 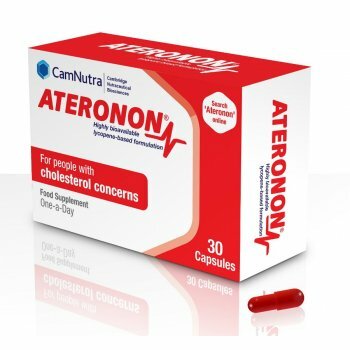 Ateronon comes in a convenient months supply of 30 capsules at only £29.99. Get yours today! Mixing up your milk: What are your options?